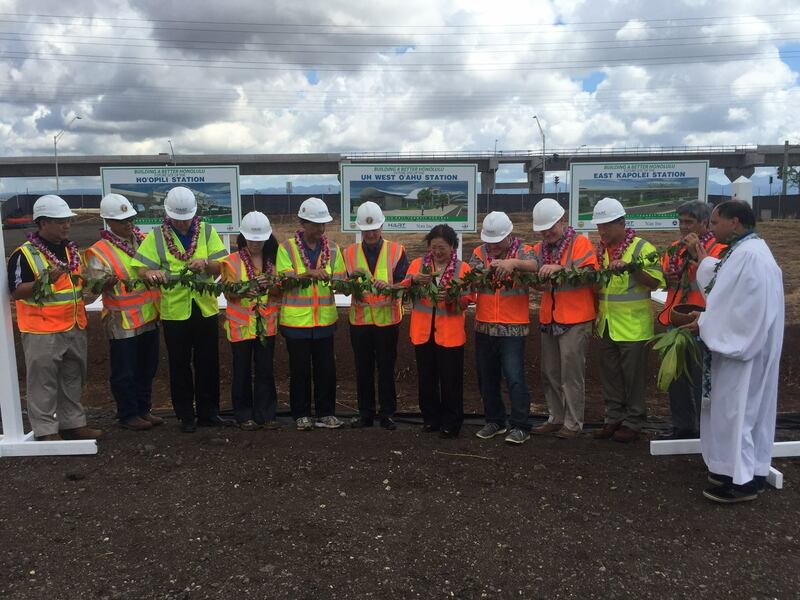 West Oahu Stations Group | | Nan, Inc.
On March 28, 2016, the groundbreaking and traditional Hawaiian blessing ceremony was held to celebrate the start of construction of three rail stations in West Oahu. Eight months prior, the Honolulu Authority for Rapid Transportation (HART) awarded Nan, Inc. the $56 million dollar contract to build the Ho’opili, University of Hawaii West O’ahu (UHWO), and East Kapolei rail stations (known collectively as the West Oahu Stations Group). 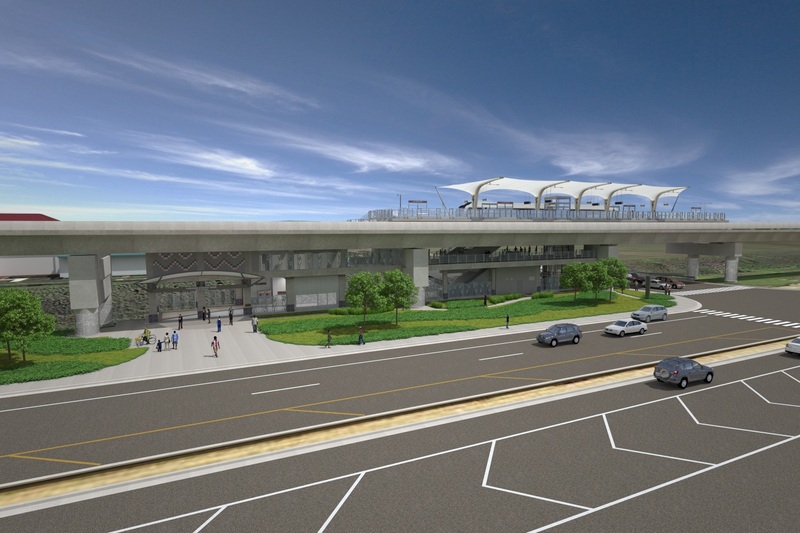 The East Kapolei station will be the start and terminus on the west end of the 20 mile rail line. Located on Kualaka’i Parkway near the Salvation Army’s Kroc Center, the East Kapolei station is situated in an area that’s slated to experience tremendous growth. New subdivisions and a large new mall are all in the works. The station itself will feature a concourse, and above it, a covered center platform where riders will board and disembark. Students at the University of Hawaii West O’ahu and Tokai University will only have to walk a short distance to board our second rail station, U.H. West Oahu. The design of this station features a fare gate entrance that’s on the campus-side of Kualaka’i Parkway. 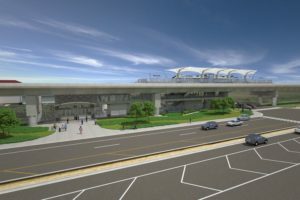 Riders will then utilize an elevated, enclosed pedestrian walkway that will take them to the concourse located on the other side of the roadway. Our third rail station, Ho’opili, is situated in the middle of the 1,600 acre master-planned community of the same name that’s being built off Farrington Highway. There will eventually be nearly 12-thousand homes here, along with thriving businesses and agriculture. Boarding and disembarking will take place on the Westbound and Eastbound side of the rail line. All told, Nan, Inc. will be using over 800 tons of structural steel, over 7000 cubic yards of concrete and over 22, 000 square feet of tensioned fabric to build these state-of-the-art rail stations.